FREE In-store pickup + FREE shipping on orders of $50! 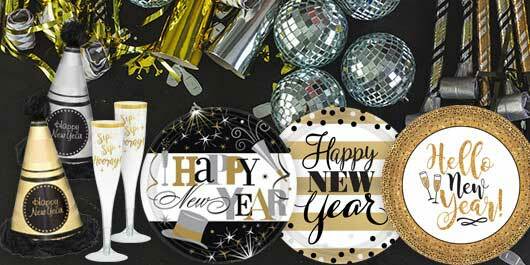 Ring in the new year with the best and brightest decorations! Countdown to midnight, wearing festive glasses and hats, blowing on noisemakers as the ball drops! End this year with your favorite people, surrounded by your favorite decorations and themes! 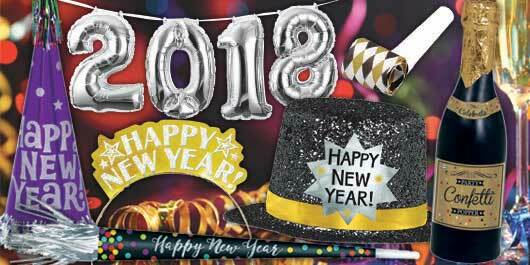 Be ready for the final moments of the year with Party America’s selection of wearables, decorations, and confetti poppers.